This event is open to everyone. Invite your family & friends to come and enjoy the tango music in this romantic festive occasion. As always, partner is not required, and no dance experience is needed. Just come, have fun and tango with us! 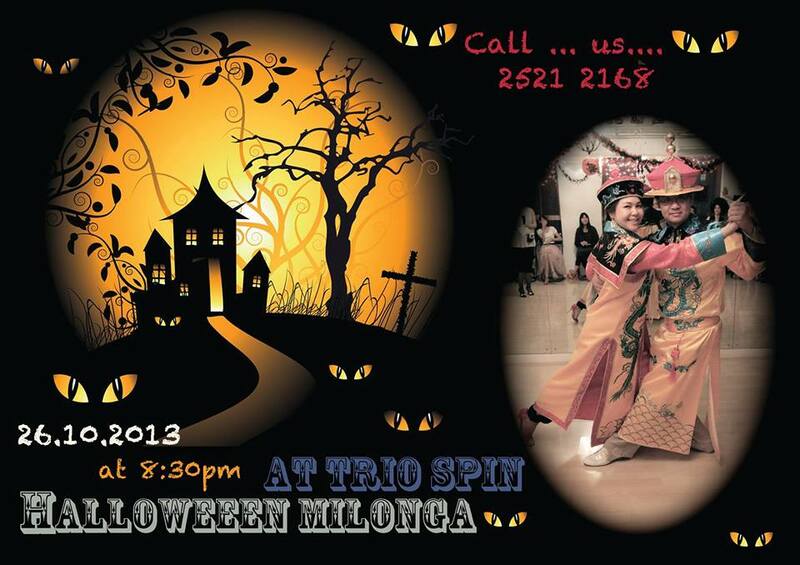 Booking: Send email to info@triospin.com with your name, gender, email address and mobile no. Enrol by email and settle payment ON OR BEFORE 19 Oct 2013 to get the discount. 1) By bank Deposit: Settle fee to Bank of China “012-888-10267986” – Trio Spin Studio & Productions Ltd”and fax receipt (with name & phone no) to 28893666.